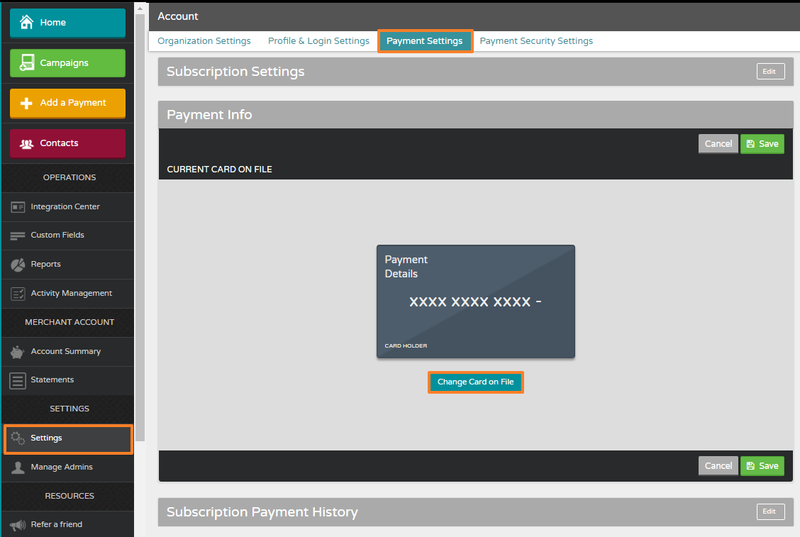 To change your Payment Method, go Settings > Payment Settings > Payment Info. This section will display the current card you have on file. Click Change Card on File to enter new card information. 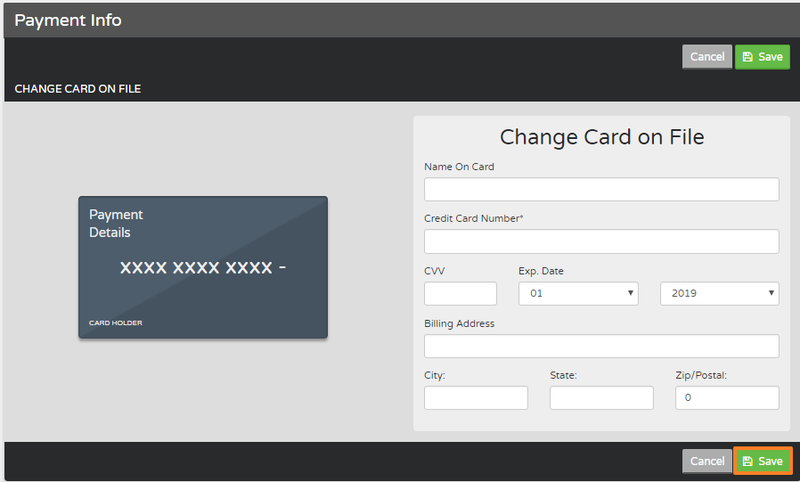 Enter your new card information then click Save. This card will be charged for your next subscription payment.